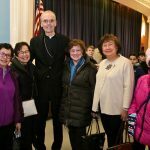 The man of the hour greeted the many attendees at the 1 pm Mass of Thanksgiving, and then afterward we all joined for a reception in McLaughlin Hall to greet and congratulate Fr. 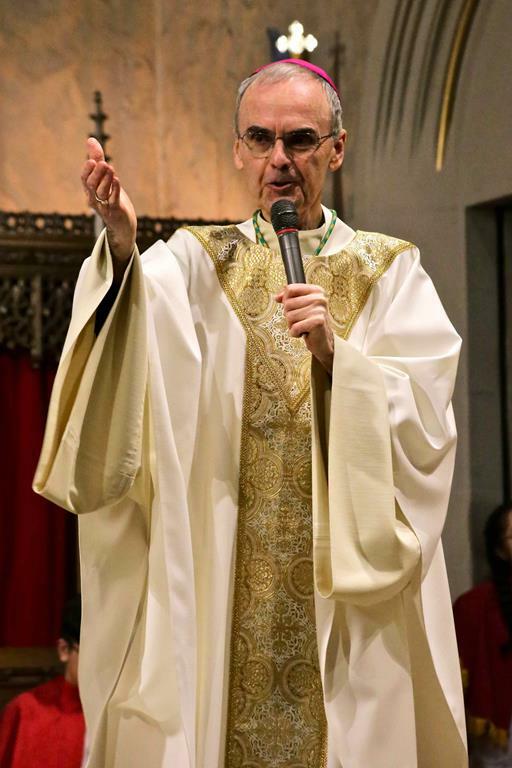 Passenant on this important anniversary. 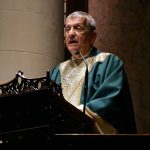 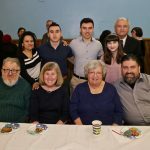 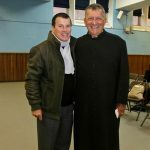 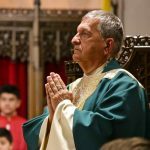 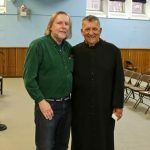 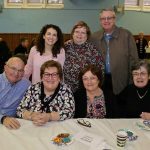 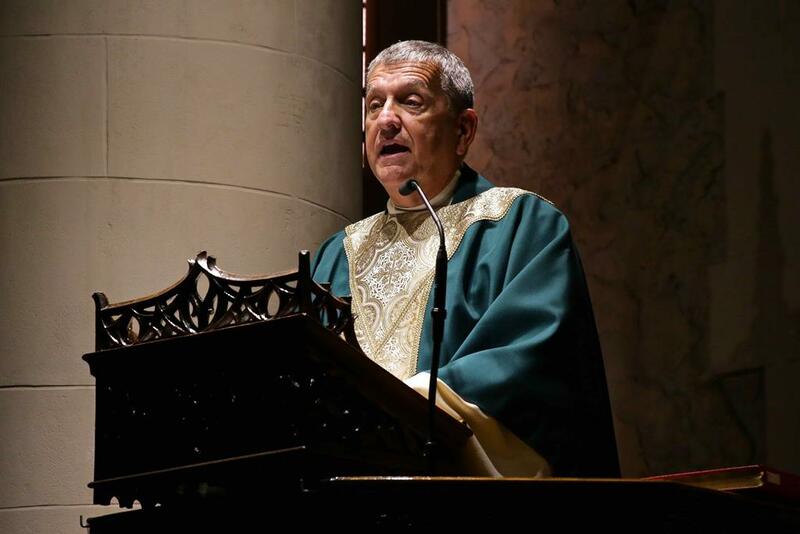 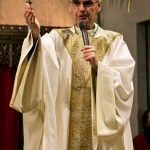 Sunday, February 24, 2019 – We know everyone will enjoy a few pictures from Fr. 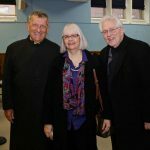 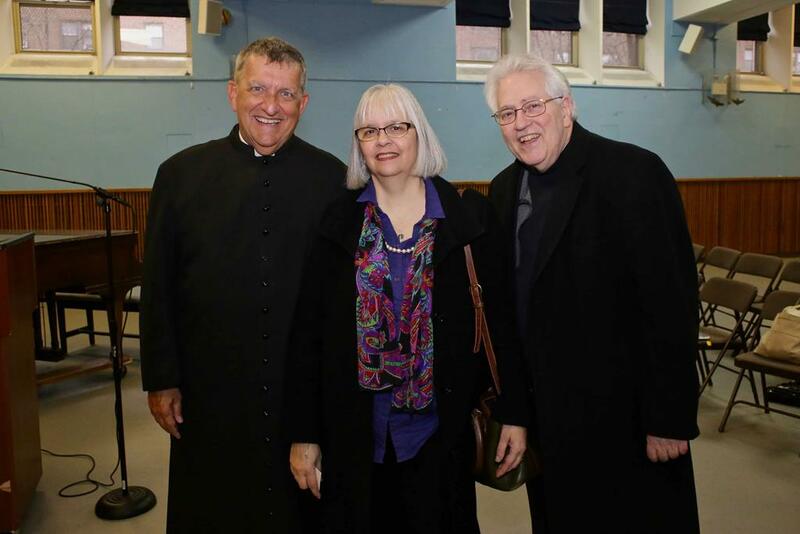 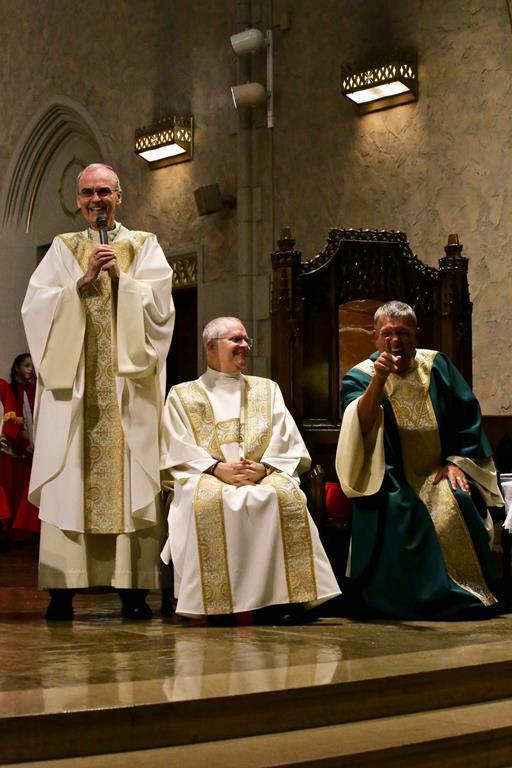 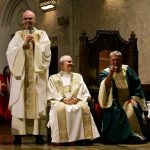 Passenant’s 40th Ordination Anniversary Mass and reception on February 24, celebrating his amazing four decades of service to the Church. 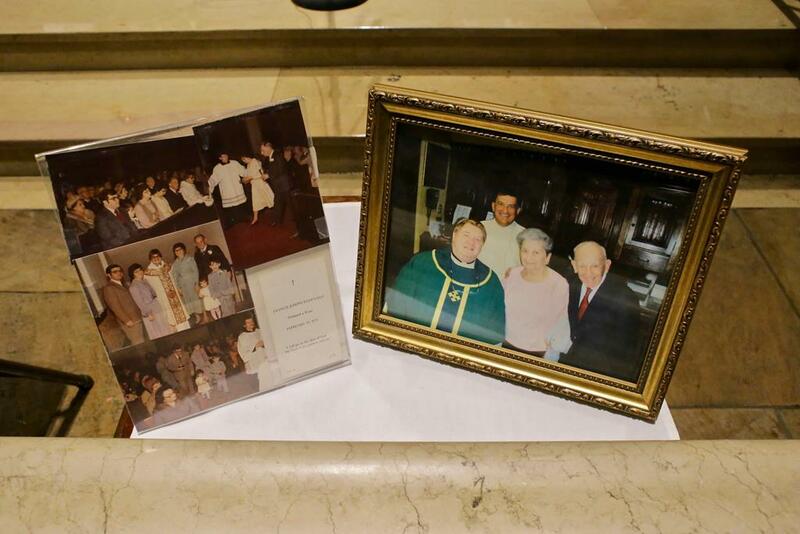 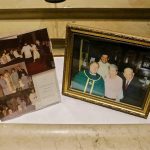 He was ordained a priest in the Diocese of Brooklyn/Queens on February 24, 1979 — an extra special day because, coincidentally, it was his parents’ wedding anniversary. 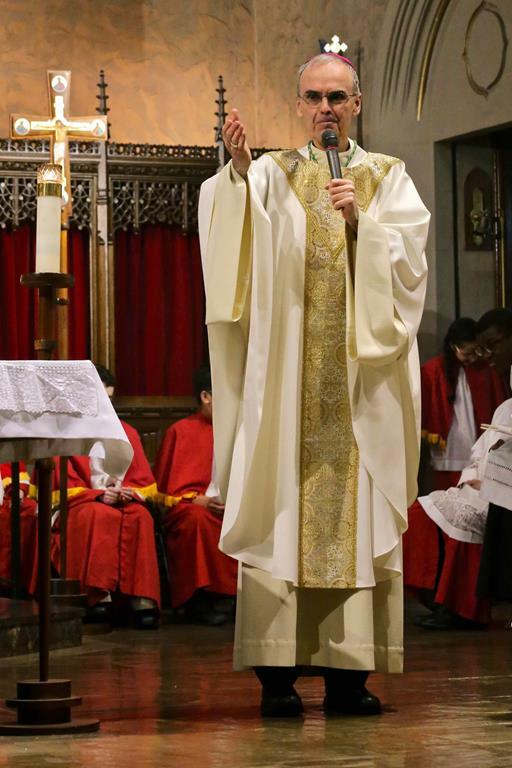 This year Fr. 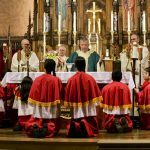 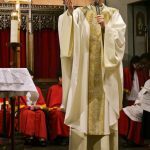 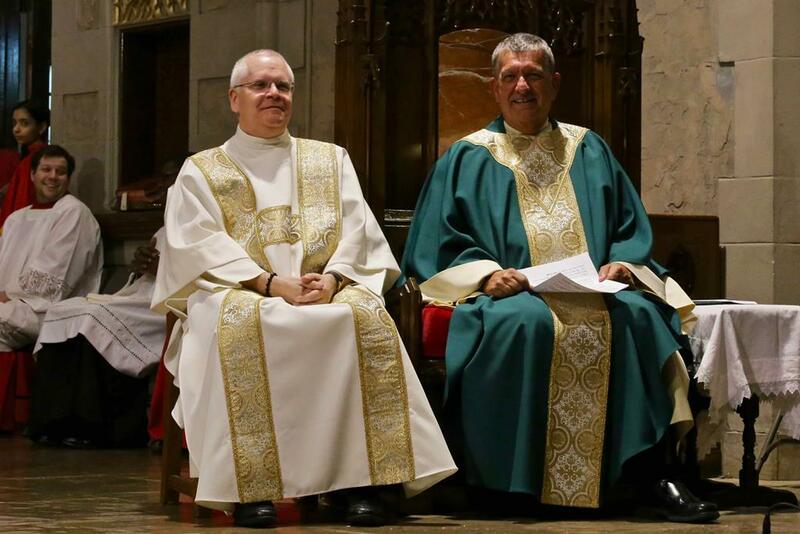 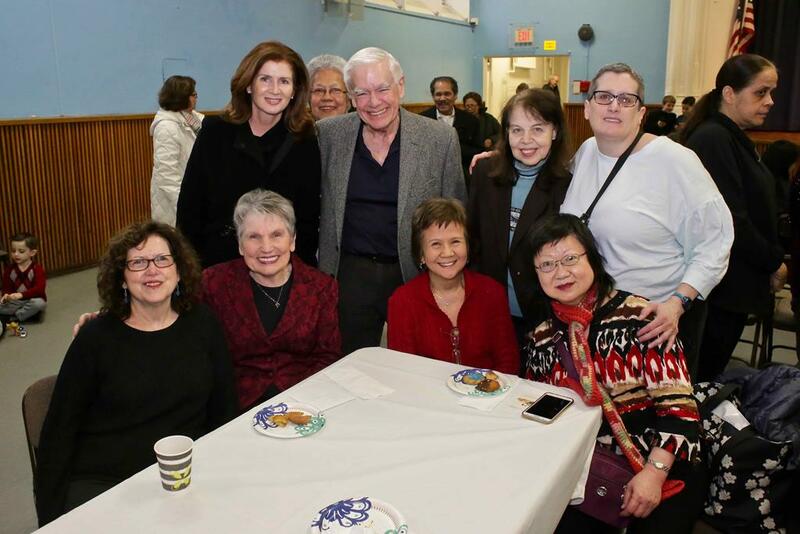 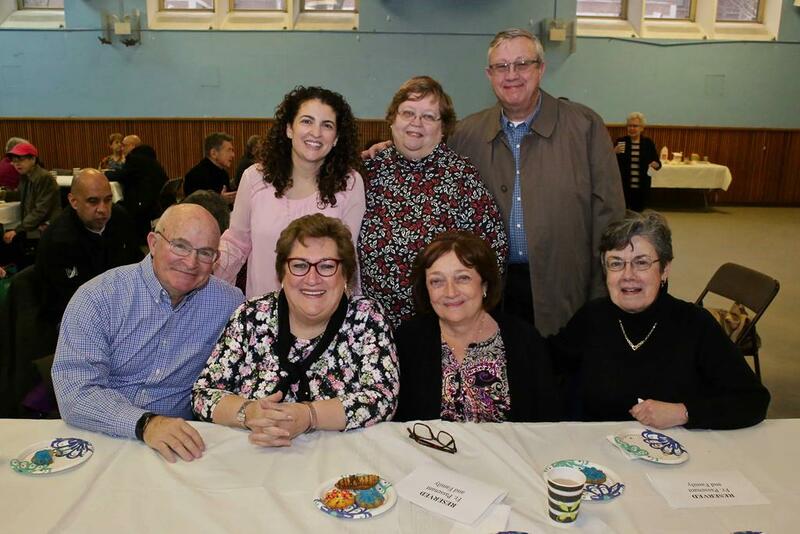 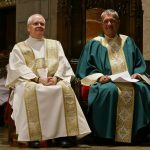 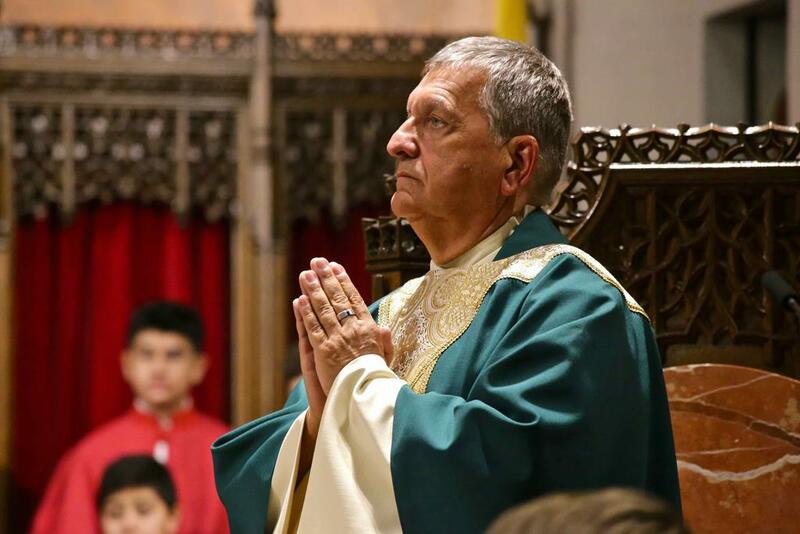 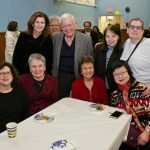 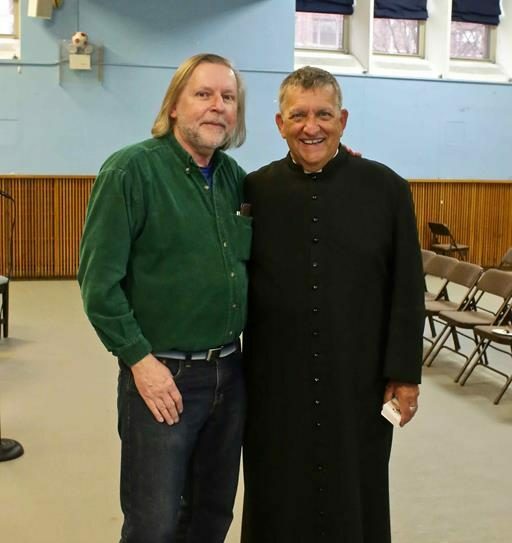 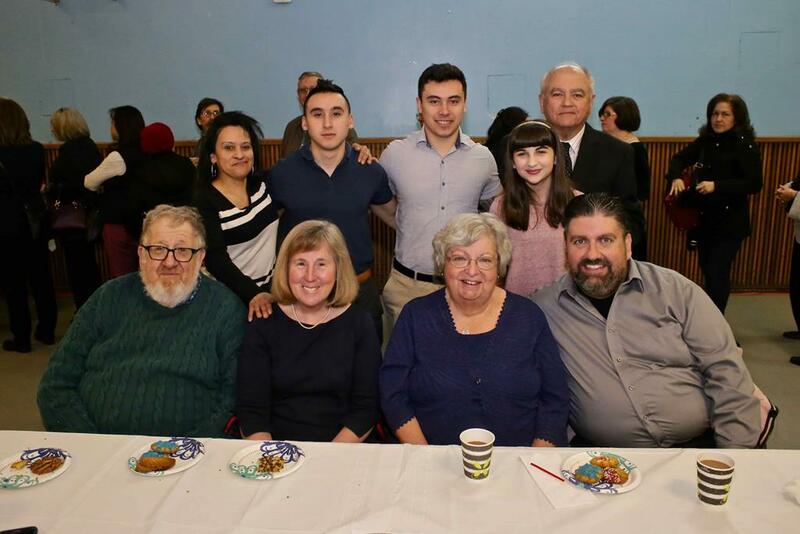 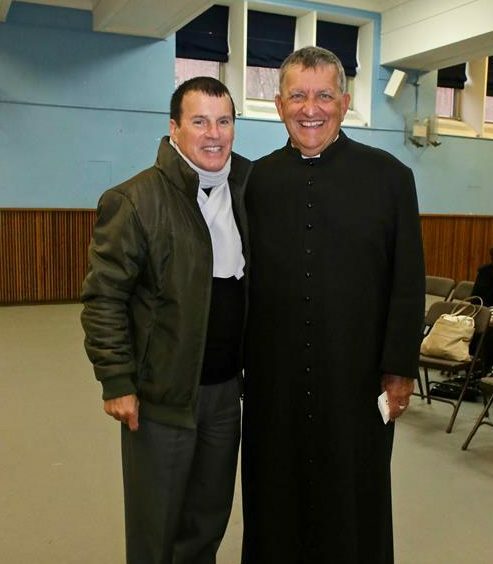 Passenant was also named 2019 regional dean for the nine Catholic parishes in Queens North Deanery #6, as appointed by Bishop Nicholas DiMarzio. 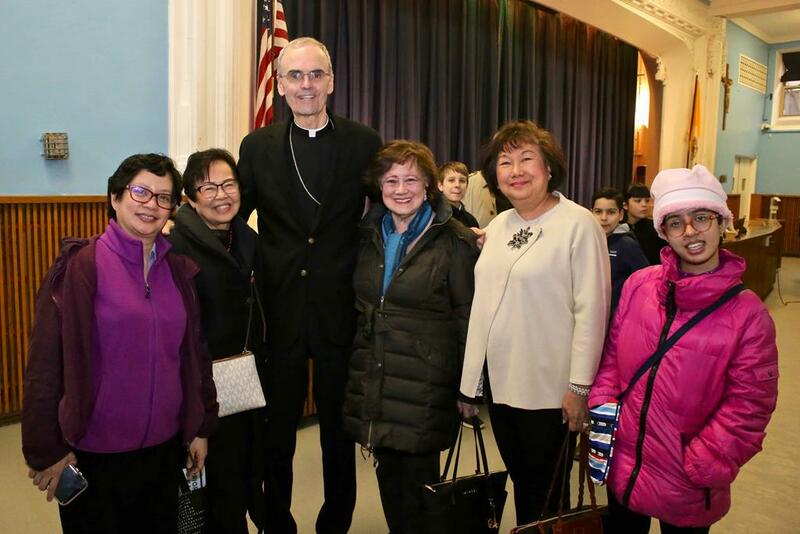 He assumes these duties even while he continues to serve at Our Lady Queen of Martyrs parish. 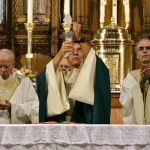 Continued blessings for Fr. 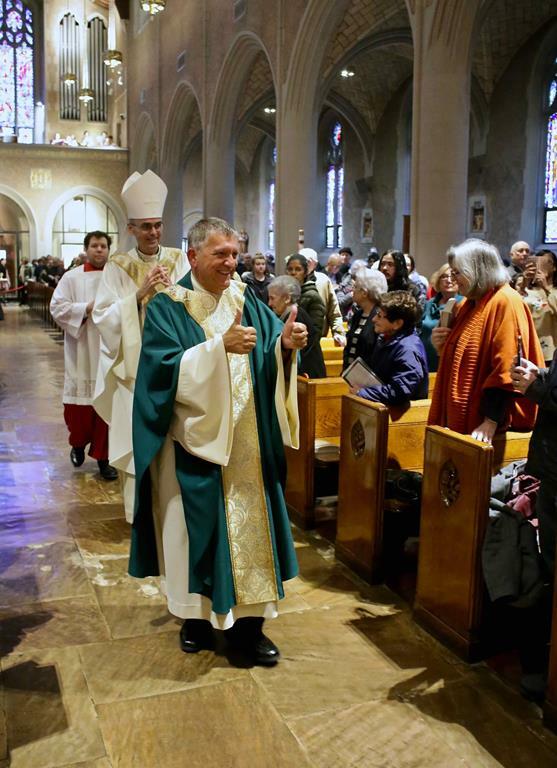 Passenant! 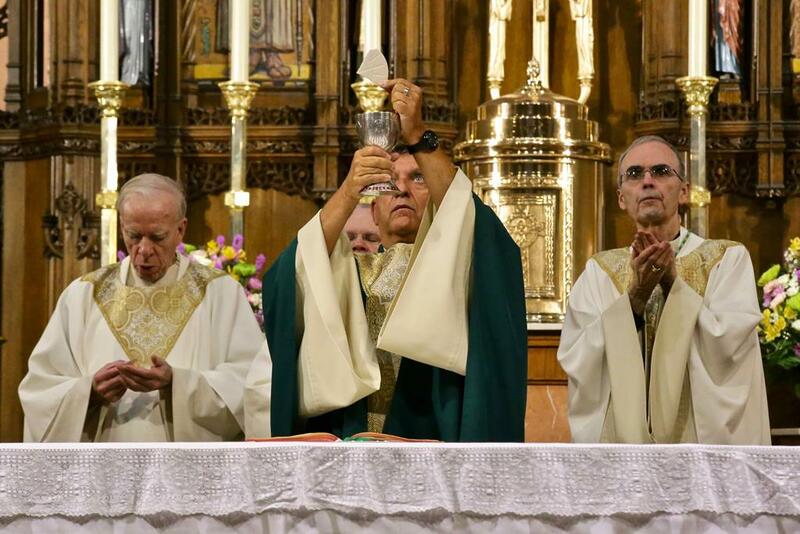 We look forward to his next milestone and half-century celebration. 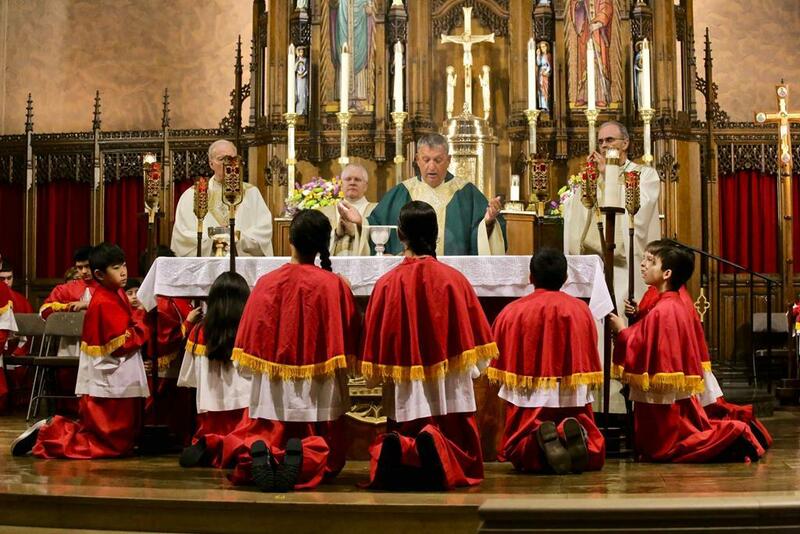 See our bulletin coverage from February 24, 2019.